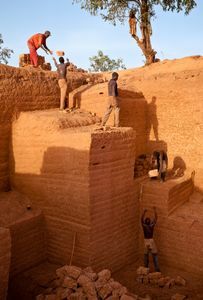 Karaba is a small African village in southwestern Burkina Faso. 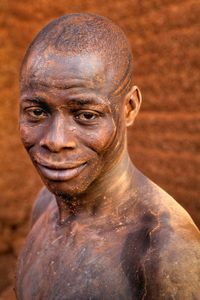 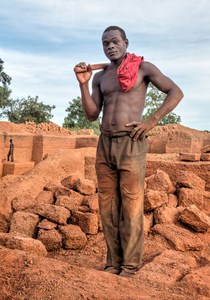 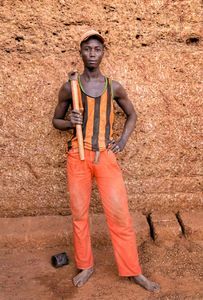 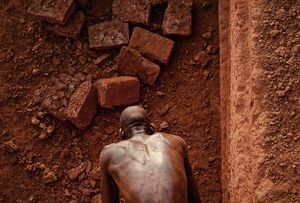 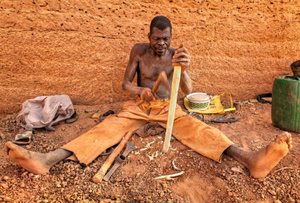 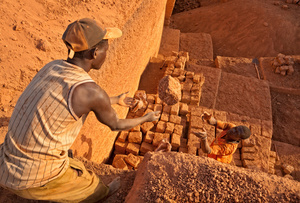 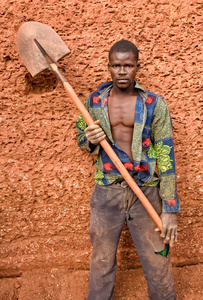 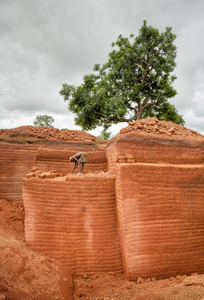 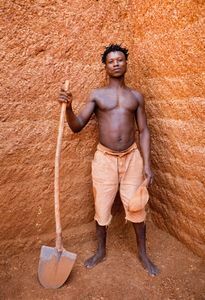 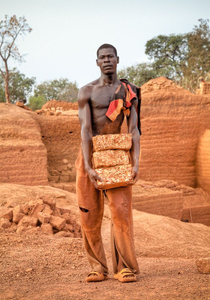 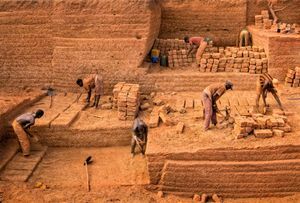 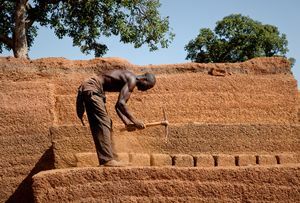 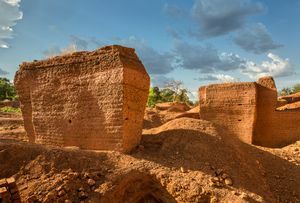 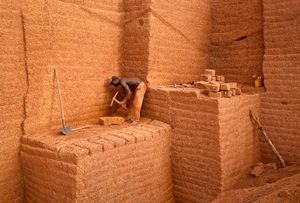 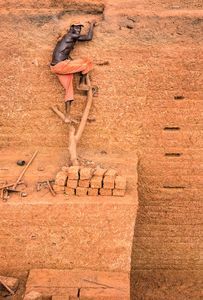 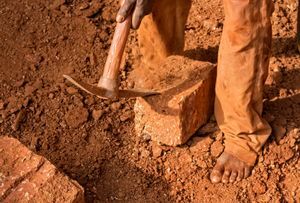 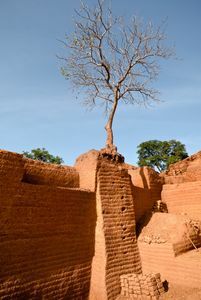 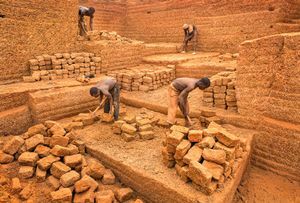 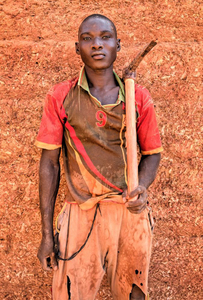 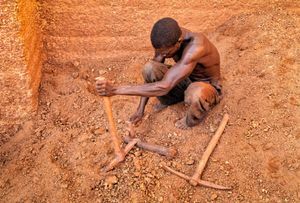 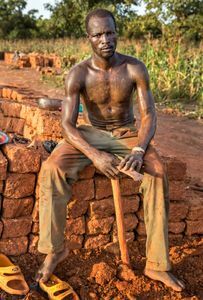 Outside the village, a short distance from the dusty main road, is a quarry where men carve bricks from solid stone using only picks and shovels. 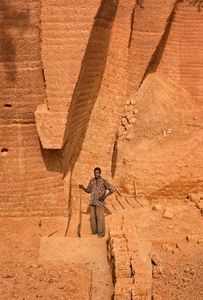 The rock is called laterite (from the Latin "later" meaning "brick"). 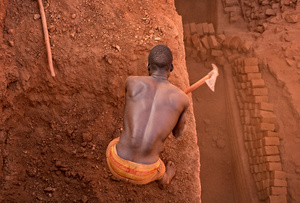 The quarry has been in constant use for nearly 35 years. 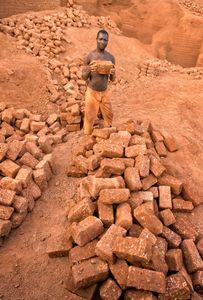 The bricks, loaded onto wagons and taken to nearby villages, are the basic building blocks for the homes, buildings and walls that structure the surrounding communities. 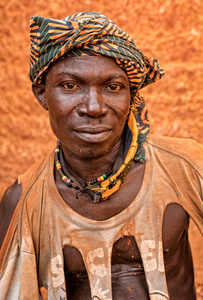 I have been photographing in the Karaba quarry every year since 2008. 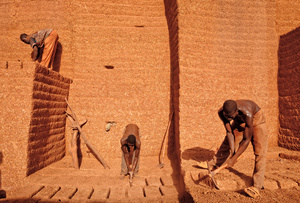 I am captivated by the architectural quality of the space, the dazzling color and the incredible men who work there. 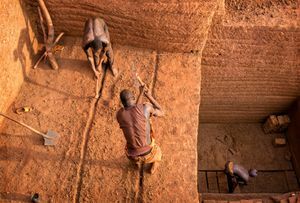 The quarry is like a magical, ever-changing work of earth art.